It has always been fun to play Nunki and I have learned much about the Bahá’í-Faith. Some of the questions were specific. However otherwise I find the idea super class, because it arouses the playful spirit in a positive way. Nunki leaves a good feeling and personally I didn’t want to stop playing the game. Thank you for this inspiring Bahá’í game! We played Nunki a couple of times in larger circles and subsequent to deepening. Each time we enjoyed playing the game and we had often to laugh very loudly :-). The learning comes automatically. Ninestar Games consists of a team of creative people who develop parlour games inspired by spiritual concepts. Joy, learning and fun in the form of a board game that makes for exciting sessions and deep and meaningful discussions. Nunki – the exciting journey of the divided human people! How do you draw interfaith dialogue? How do you pantomime a spearhead? What do ‘Abdu’l-Bahá refer to as the „foundation of culture“? What kind of cake would you bake for the next Nineteen-Day-Feast? 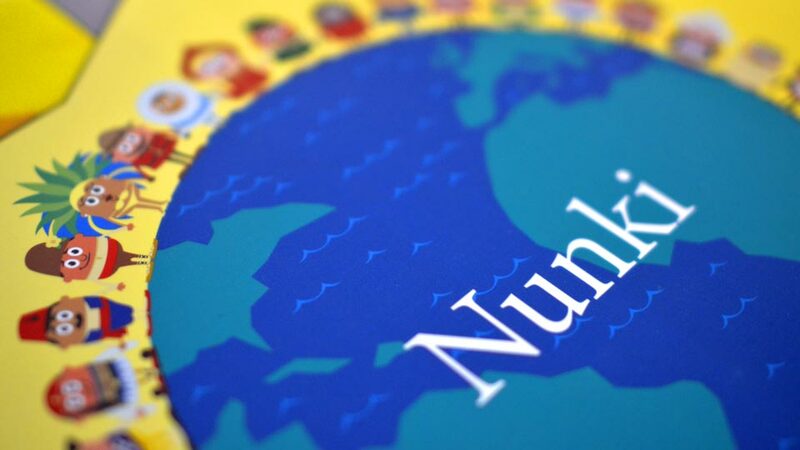 There are many ways to unite the human race in the new Bahá’í-Activity-Game “NUNKI”. Unity of thoughts is a key for your team to solve the “Matching Tasks” and win the game. EMBARK ON AN EXCITING AND INSPIRING JOURNEY!